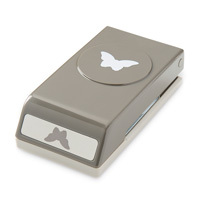 Butterfly Bundle, Get 15 percent off when you buy this bundled butterfly stamp set and punch! Offer Ends Sept 30th, 2013. Order today by clicking here to go directly to my website. Or send me an email! If you live in the Sacramento/Roseville Area and would like to join us, we’d love to have you! Tags : Christmas Cards, Fall Cards, Handmade Cards, Hello Dahlia, Janice Urke, Magnificent Maple, Pleasant Poppies, Postage Collection, Stampin' Up!